Submissions are invited for the 2019 Transatlantic Studies Association Annual Conference. Featuring: David Haglund (Queen’s University), Astrid Nordin (University of Lancaster), Joe Renouard (Johns Hopkins University, Nanjing), Priscilla Roberts (City University of Macau) Jinghan Zeng (University of Lancaster). Following its first trip across the Atlantic for last year’s annual conference at the University of North Georgia, the TSA is returning to the UK for its eighteenth annual conference at the University of Lancaster. 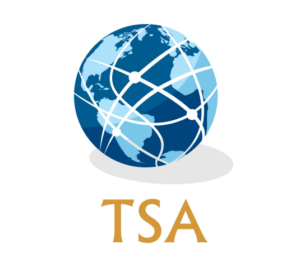 The TSA is a broad network of scholars who use the ‘transatlantic’ as a frame of reference for their work in a variety of disciplines, including (but not limited to): history, politics and international relations, and literary studies. All transatlantic-themed paper and panel proposals from these and related disciplines are welcome. Transatlantic Romanticisms – confirmed speakers include: Samantha Harvey (Boise State University), Lance Newman (Westminster College, Salt Lake City), Joel Pace (University of Wisconsin, Eau Claire). Proposals are welcome for 20-minute papers on any aspect of Romanticism in a transatlantic context. Possible topics might include (but are not limited to) comparative romanticisms, ecological romanticisms, romantic natural histories, romantic travel and exploration, romanticism and colonialism, romanticism and critical theory. Please send a 300-word abstract, 100 word author biography, and 2-page CV to Kevin Hutchings, University Research Chair, Department of English, University of Northern British Columbia (kevin.hutchings@unbc.ca). In addition to the subject themes above, we welcome papers and panels on any aspect of transatlantic studies. Interdisciplinary papers and panels are particularly welcome, as are innovative formats, such as roundtables / multimedia presentations. 2-page CVs for all participants. The subject line of the email for panel proposals should read: ‘TSA Proposal-[Last name of panel convenor]-[Subject theme]’ (state ‘Other’ if not falling under listed themes) (E.g. ‘TSA Proposal-Smith-Diplomacy and International History’). The subject line of the email for paper proposals should read: ‘TSA Proposal-[Last name of presenter]-[Subject theme]’ (state ‘Other’ if not falling under listed themes) (E.g. ‘TSA Proposal-Smith-Other). The TSA particularly welcomes proposals from new members and junior scholars. Travel grants are available to support early career scholars presenting a paper at the conference. As a result of funding from the Halle Foundation, the TSA is able this year to offer a number of additional travel grants to support early career scholars presenting a paper on any aspect of relations between the United States and Germany. If wishing to apply for a travel grant, applicants should indicate this in the body of the email when submitting their paper or panel. If papers are believed to qualify for Halle Foundation funding, this should be indicated. In addition to the materials requested above, travel grant applicants should include a brief statement explaining why it is important for them to attend the TSA conference, and an outline of the principal costs entailed. For further details about TSA travel grants, see the TSA website: www.transatlanticstudies.com. All paper and panel proposals, and travel grant applications, should be sent to the conference email: tsalancaster2019@gmail.com. Lancaster’s transatlantic connections date back to the eighteenth century when the city was a significant port for trade with the West Indies. Today, Lancaster is a thriving market town with a wide selection of pubs, restaurants and shops. Situated in north-west England, Lancaster is surrounded by beautiful countryside, including the Forest of Bowland, the Yorkshire Dales, and the Lake District. Described by Woodrow Wilson as ‘a region … so irresistible in its beauty’ during one of his several visits to the area, the Lake District is home to Dove Cottage and the Wordsworth Museum. To the south of Lancaster are the cities of Manchester and Liverpool, with world-class museums including the People’s History Museum, and the International Slavery Museum. To the west lies Morecambe Bay, home of the art-deco Midland Hotel, the location for the conference dinner. The University of Lancaster is located three miles outside of the city, amidst 560 acres of landscaped parkland. Home to the Ruskin Library and Research Centre, the campus also boasts a wide selection of shops, bars and eateries. For convenience, delegates are advised to stay on campus for the duration of the conference. Delegates will be able to choose between campus Guest Rooms or the four star Lancaster House Hotel. Blocs of rooms have been reserved at both and will be bookable when registering for the conference via the TSA website: www.transatlanticstudies.com. Lancaster is easily accessible by train, with direct connections from London (2.5 hours), Manchester (1hr 20 mins), and Edinburgh (2hr 20mins). Manchester Airport has direct flights from locations throughout North America and Europe.